Have you ever felt like there is another world out there? Maybe a parallel universe that strongly resembles ours but isn’t quite the same. 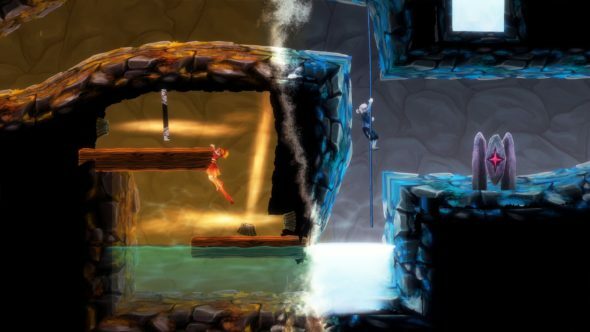 Degrees of Separation is a game that stems from the idea of two realms combining forces in an interesting 2D puzzle platformer environment. 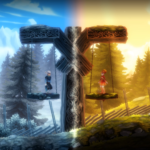 From the industry veteran and RPG legend, Chris Avellone, comes a title that has the lovely story of a girl and boy those world intertwine and together they must go on a journey although they cannot touch each-other. However love conquers all and how closer the two are in the relationship, how smaller the separation will be and maybe one day they will be together. 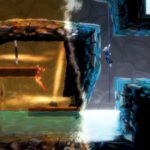 2D Adventure Platforming. Experience beautifully crafted 2D worlds with a deeply immersive art style based on the aspects of contrasting temperatures. Innovative Storytelling. Discover the potential of dual protagonists Ember and Rime and follow a complex story by acclaimed video game writer Chris Avellone. 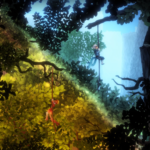 Environmental Puzzles. 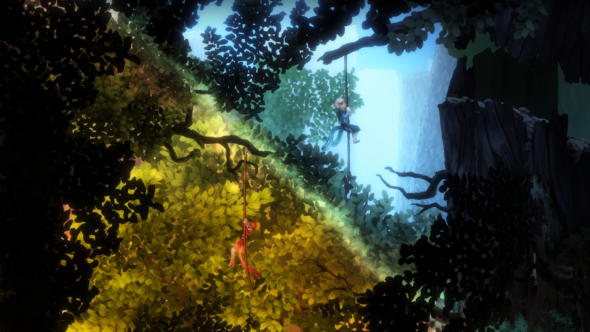 Navigate distinct worlds and solve complex puzzles to organically alter situations and surroundings. Cooperative Gameplay. Harness the powers of Ember and Rime in both single-player and cooperative multiplayer to interact with the environment in a variety of ways, both separately and as a team. Non-Linear Levels. Traverse through diverse landscapes that each introduce a new game mechanic, weaving together gameplay, narrative, and character progression. 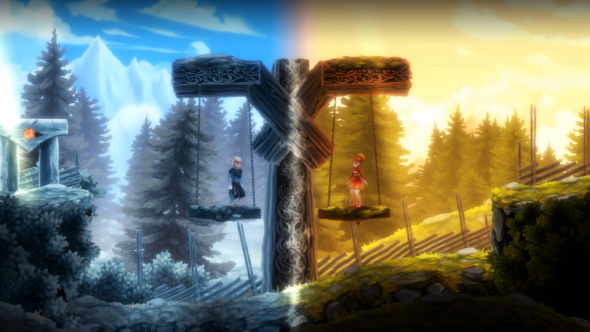 Degrees of Separation will get released on Valentine’s Day 2019 (that’s February 14th so don’t forget to buy your beloved a present or chocolate) for Xbox one, PlayStation 4, Nintendo Switch and Steam.